The one you've been waiting for! Pool, full 3 Car Garage and a large Cul-de-sac lot! 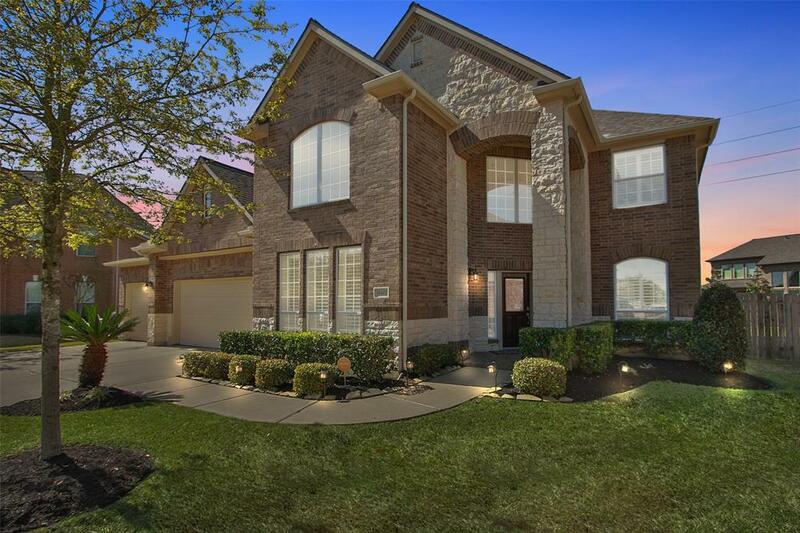 This brick and stone 4 BR/3.5 Bath home also has Gameroom plus a Media Room. 2 story study and 2 story family room with fireplace. Added Hardwood floors in Dining room, Study and Stairway. Plantation shutters throughout. Stainless steel appliances, Gas cooktop in large kitchen. High end laminate wood floors in master bedroom. No carpet downstairs! 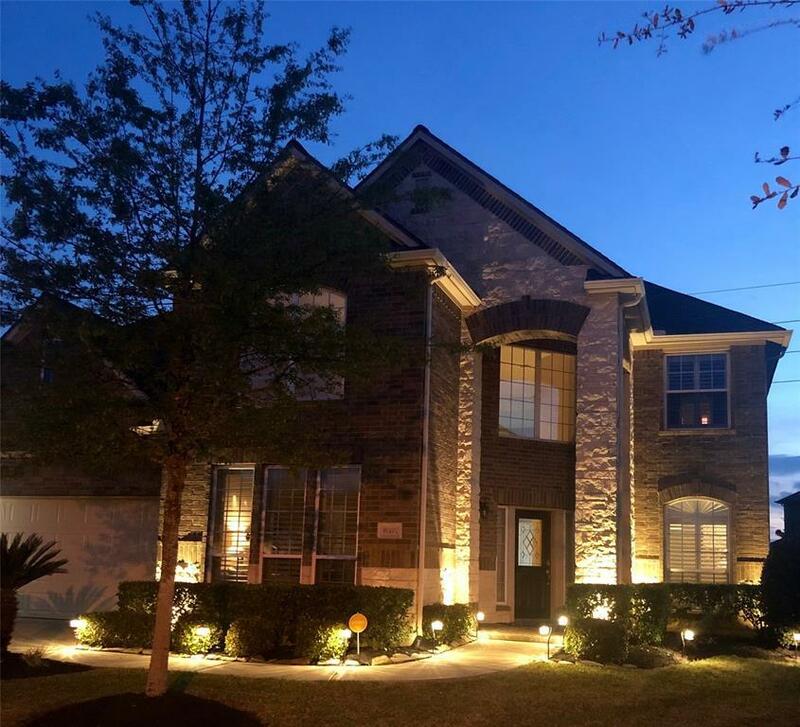 Over-sized updated master bath with 3-head shower, whirlpool tub, Granite counters, white cabinets. 2 large walk-in his-n-her closets. Large wall unit in gameroom can stay or be removed. Added drainage in backyard. Pool with water feature, ledge with in-water lounge chairs that stay with the home. Extended patio area with great space on side for your grill or smoker. Roof replaced Nov. 2018. Gutters added. NEVER FLOODED! 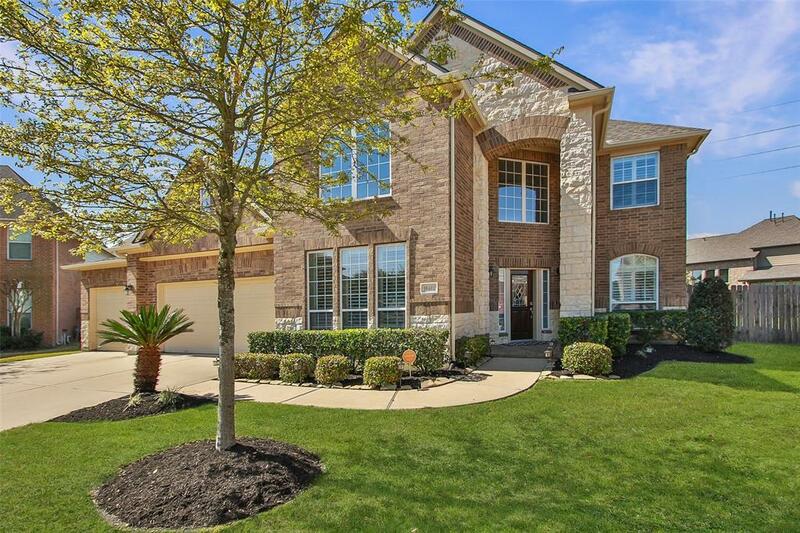 Cypress Creek Lakes has lakes, recreational center, trails, pools and parks. 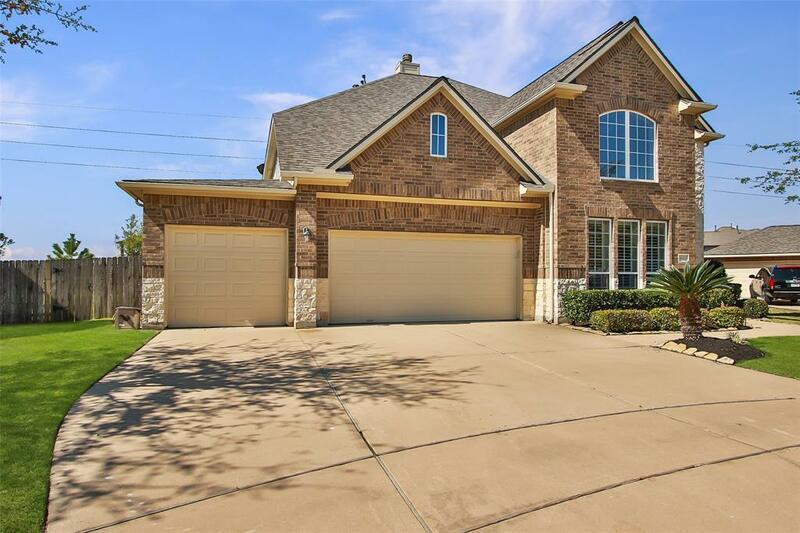 This home is a short walk to the Recreation center.